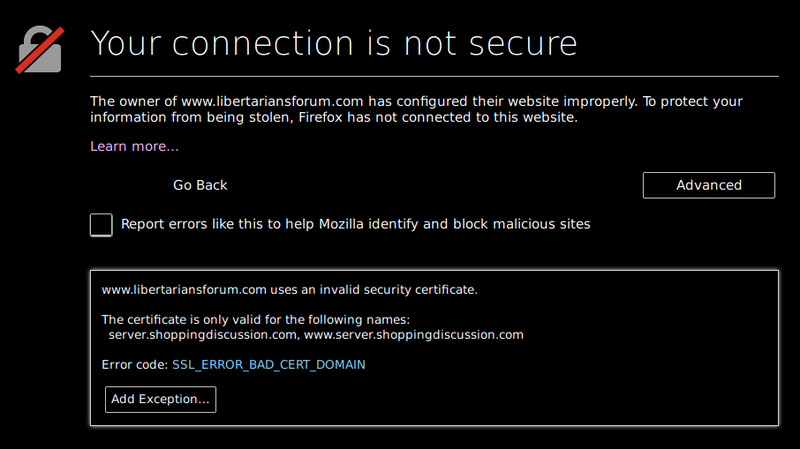 Libertarian's Forum › Libertarian's Forum › Information Board › Insecure forum! anybody in the middle can read your login credentials to Libertariansforum. don't use your password here anywhere else. it gets sent in the clear. I have one junk password I use for everything that doesn't contain any really valuable information and separate unique passwords I use for things like paypal and my email. Yes, the jerks from Stormfront (which I was on years ago and was promptly banned from) can hack my libertariansforum account. Hey, don't rat me out, but what I do is hack into unused e-mail accounts and use them.